Welcome to our August Blog Hop featuring alternative ways to use your Picture My Life cards. To purchase any of the items seen in our blog hop today, contact your local consultant to place an order. My customers (or if you don't have a consultant) can purchase from my website or by contacting me. If you have just hopped onto my blog, you can start here as this is a circular hop, and I am the beginning. If you started elsewhere, then you came from Kristine of @ home with Studio K and you are in the right place! 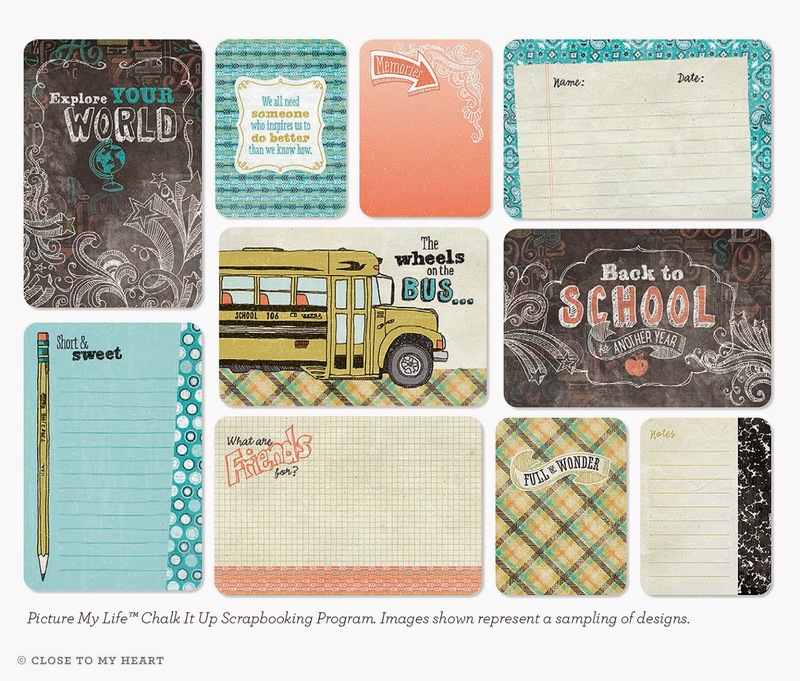 This kit is great for scrapbooking school memories. I usually use the cards with the various pocket pages as well as on traditional pages as design elements and as journaling cards. They can also be used outside of scrapbooking in many other uses. The 4X3 work perfectly for gift tags. One gift I like to make is the layered cookie mix in a jar. Some of the cards in this kit make great tags for the jar. 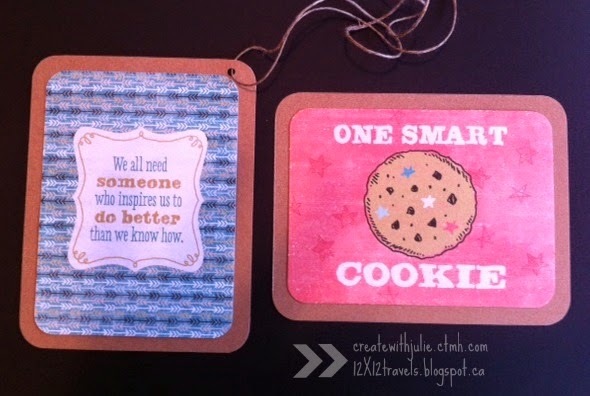 The card on the left would be perfect for a gift for a special teacher. The one on the right would be great for a cookie making date with your child after a good report card. Both of these cards have been mounted on Desert Sand cardstock. The recipe to complete the cookies is attached to the back of the tag and the tag is attached with hemp. Your next stop on the Cross Canada Hop is Deanne of My Little Piece of the Puzzle. If you get lost along the way, you can head to Michelle's Blog, My Creations with Michelle, as she has the complete blog list. Such a cute idea. Totally love it. Love this...would never have thought of using PML in this way! 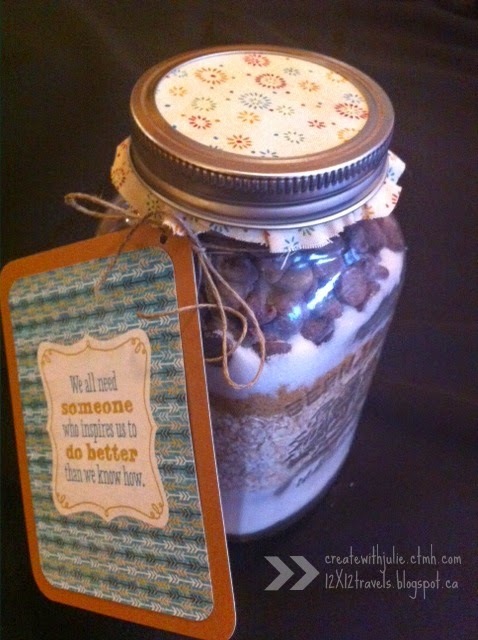 What a clever teacher gift idea!!! I love how you used your PML cards!